When it comes to getting a good shave, one of the most important things you can do is get the best gear possible. The reason that the equipment you choose is so important is because things like dull razors, or shaving cream that doesn’t lubricate adequately can leave your skin irritated, dry, or full of cuts. One of the best pieces of advice to get the best gear possible is not to buy your razors and shave cream from your local grocery store. Although these will do the job, if you are after a truly great shave that is irritation free, you will need to up the ante on the quality of shave gear you get. To find only the best, you should go a specialty shave shop and invest in either a quality straight razor or quality safety razors. This article will discuss the benefits and drawbacks of each. 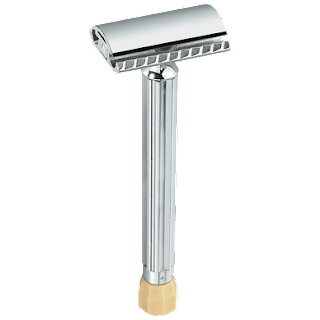 The art of using a safety razor is something that was lost for almost a century after the invention of the safety razor, but has made a strong comeback in recent years due to a growing romanticism with shaving and other things like it. Using a straight razor can be a great way to get a good shave, especially if you are styling your facial hair as it gives you maximum control over what hairs get cut and where. It does take some practice to do correctly, so if you have never used one, you will have to be patient while you get the hang of it. Modern safety razors are the most common and most popular choice around the world. These razors are a good choice because they are cheap, easy to use, and require relatively little skill. However, when shopping for one of these razors, you need to pay careful attention to the quality of manufacturing because some models have multiple blade designs that can cause a lot of irritation if the blades are not exactly parallel with each other. To get the best razor possible, only buy from a specialty shave shop that knows what the best gear is. Window treatments can make a space attractive, cozy and can create a wonderful effect. If you chose the right fabric, pattern and color of the curtain then, it will certainly tie the whole room together. You can brighten up a room with patterns. If you are not afraid in using bold colors then, just play with it. It might give your space the appearance that you need. Bold colors can be toned down when you accessorized with lighter and neutral colors. Bring in some neutral colors of throw pillows and rugs. If you have a higher ceiling, use drapery to get that sophisticated look. Oh, I got these ideas from watching HGTV shows. It works for me and I hope it will work for you too. Enjoy decorating your home. One of the most fundamental building blocks for human development is Education. I believe that when majority of the people is Educated, there will be a poverty reduction. From Preschool, Primary, Secondary, College to University, these are ladder to success and are important. In Preschool years, children are taught the alphabet, counting, recognize the shapes as well as the colors and these activities are designed for basic learning. 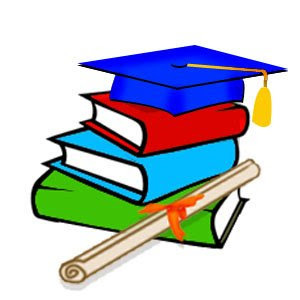 While the Primary, Middle Schools and High School are the formal and structured education. Children are expected to read with comprehension, write and be able to use mathematical skills not only in school but, daily living. These days, technology is highly considered as the influential factor in education. In fact, computers are used to develop new ways of learning. Technology is a powerful learning tool. It demands new skills. As I noticed, children prefer the virtual learning environment because they are susceptible to learn fast. When children research online, wide range of information is easily accessed. Learning is very effective using the technology. Speaking of technology, it is also very effective to use as instruction to students. The use of technologies such as PowerPoint and interactive whiteboard captures the attention of students in the classroom. If you are a teacher, I bet you already mastered the strategies for teaching. I taught first grade for twelve years and my strategy for teaching vary each class in each year. Having the right tool would help the teacher accomplish the objective for the class. The products from mentoringminds.com such as Motivation Math, Standards and Strategies Flip Charts, Vocabulary Adventure and more are great Educational tools for teachers. According to Mitzi McAfee, the Principal of Jackson-Roosevelt Elementary, Motivational Math helps the teacher's job done easy and the students are more successful. Educational Tools like this truly aide the teaching strategy of teachers and the students yielded a positive outcome. If you are a teacher, check out this Website today. If you are looking for an innovative consumer trading company then, you should check out Cedar Finance. I have a friend who is into trading business online. He is up-to-date in stock market and been working online just taking notes on what stocks are doing great for the last weeks. He told me about Cedar Finance Website and how easy it is to trade on the leading financial market such as Forex, Commodities, Indices or Stocks. He was bragging that he is doing well because Cedar Finance provides exceptional software and services for trading Digital Options. He tried it few months ago and invested a small amount of $100-$200 and he won a few hundred dollars. I was fascinated by his luck. My father-in-law was lucky in stock market as well but, there are times he loses few dollars. My friend has all the good luck in fact; he was confident in this company because when he has some questions regarding the stock market, the customer service/support was very helpful. He was excited when he decided to withdraw his winnings and he has not encountered any problem. He was very impressed and convinced with Cedar Finance that is why; he invited me to join with him.He told me that Cedar Finance is the most professional and objective platform for trading Digital Options online. I told him that I will think about it. I never tried this Digital or Binary options but, he told me that this is the fastest and most efficient way to earn profits. I told him, he got lucky. He is not afraid to take risks either and I am the opposite. I am happy for him and I hope that his luck will not cease. Cedar Finance has unique offering that enables traders to receive significant payouts. If you are not afraid of risks, go for it. Trust your gut feeling. It was already night time when we arrived in Mexico area. Well, we actually went inside Epcot at 4PM so; it was almost sunset when we started to view the World Showcase area. Mexico is the first country that you will explore/see which is located on the left side of the theme park. The ambiance of this place was built like you are in Mexico in fact, the atmosphere changes abruptly. It was funny and weird at the same time to see Donald Duck in Mexican attire and speaks Spanish/Mexican but, I like it a lot. The Disney crew also speaks Mexican. They have a marketplace inside which you can buy sombrero and other Mexican souvenirs. It feels like you are truly in Mexico hearing the Mexican music and people talking in Mexican. Here is the star of the night and some tourists trying to pose for a souvenir picture. This is the Aztec pyramid which served as the entrance. There is a market place, restaurants and one attraction ride inside. You should take the musical boat tour especially when you are with the kids. It is fun and so unique. Here is the busy marketplace in Mexico area. Planning to visit Disney World? Check out EPCOT theme park if you love long walk. Oh yeah ... you will definitely lose few pounds once you tour the property of EPCOT. It's actually healthy and fun. Don't worry, if you hate walking, find your seat in one of their gourmet restaurants. If you want Schnitzel, locate Germany and instantly, ambiance feels like you are in Germany. We live in Cocoa area and after a year of living here, we wouldn't trade for anywhere else. Cocoa is in Brevard County located along the coast of the Atlantic. Brevard County has a total population of 543,376 based on 2010 census. It is the 9th most populous county in the US and the home of John F. Kennedy Space Center. Did you know that our area code is 321 as in 3-2-1 and ... lift off (wink). Speaking of lift-off, the Atlas V MUOS 2 is scheduled to launch on July 19 at 8:51 AM. 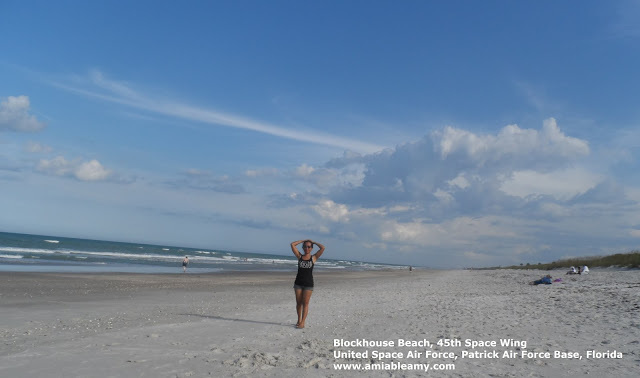 We the residents here in Brevard get to enjoy and experience the powerful sights and sounds of the thunderous roaring engines of an Atlas V rocket as it thrusts into the sky. This time though, it will not be coming from the launch pad of NASA's Kennedy Space Center but, from SLC-41 at Cape Canaveral Air Force Station which is also located right here in Brevard County. 4. Archie Carr National Wildlife Refuge and more. Moreover, Brevard County is a home to 4,000 species of animals such as alligators, manatees, white tailed deer, raccoons, and the cute ones bottle nose dolphins and many many more. With Flora, Brevard County has many live oak trees and cabbage tree which is the state tree of Florida. Close your eyes and think of sunny Florida, the tree that you imagine is cabbage tree. You watch CSI Miami right? 1. Fort Ann U.S. Army Post - The access is restricted though. This is a Federal property protected as part of the Merritt Island National Wildlife Refuge on the Kennedy Space Center. 10. Juan Ponce de León Landing ... and more. I hope I can visit some of the landmarks here in Brevard and if that happens, I will surely share some photos here. That's all for now. Thanks for stopping by. I was thrilled when this product arrived in the mail a week ago. I was truly curious about Whitening Lightning's Zero White Teeth Whitening System because the price is quiet expensive. This product is the latest technology in teeth whitening and is available in the market for $399. This product contains no harmful peroxide and will not cause sensitivity. That is a relief don't you think? Whitening Lightning is specially formulated in the lab; made from all natural ingredients and tastes great as well. This product is made to restore teeth, crowns, veneers and caps for a natural white. 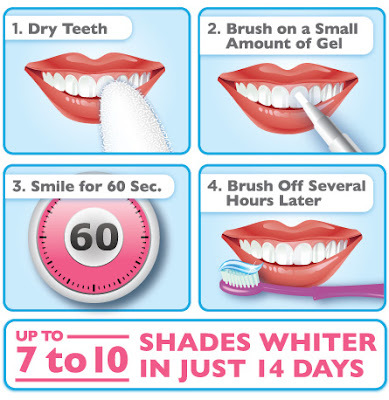 Using Zero White Teeth Whitening System is pain-free. Once I read the kit instructions at the back of the box, everything is perfectly easy to follow. I tried this product and it works great so far. I like using the shade finder because I can see the difference on a day to day basis. I will be posting the photo here after two weeks time. Hope you can comeback and check it out. To use the Pen, I twist and click the base of the pen until the gel exudes from the brush tip. I then gently brush on visible teeth. I wear it for at least 15 minutes then, I rinsed. It is good to use before bedtime because it works while I was asleep. There is no unpleasant taste and no sensitivity issue. You should know that Whitening Lightning is the maker of the best professional home teeth whitening system which is available in the market today. They have eco/natural version of the Dial A Smile: Professional Home Teeth Whitening System. The Zero White Teeth Whitening System is innovative and highly effective system which uses baking soda as the active whitening ingredient. Take note that it is not peroxide. If you have a low-end and ineffective whitening products, you should try Whitening Lightning products. This is an innovative and eco friendly product and I love the result! I received one or more of the products mentioned above for free using Tomoson.com. Regardless, I only recommend products or services I use personally and believe will be good for my readers. 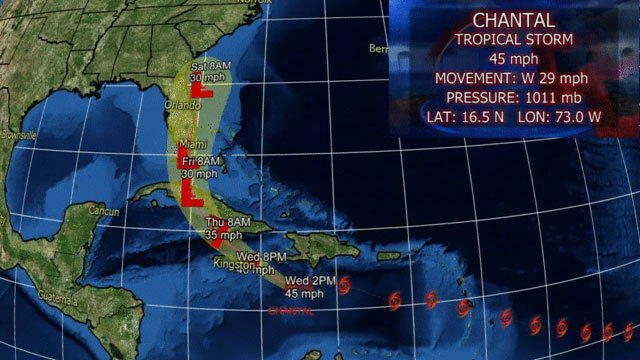 According to my Fox Orlando news, Tropical Storm Chantal weakens and was downgraded to tropical wave which means, we have nothing to be alarmed of this weekend. I am so relieved hearing that news. We probably head out to the beach to see the waves. I bet surfers will be feasting on the big waves this weekend. I hope that by the time it reaches the Florida waters, it weakens more. Hopefully, no big storms this year but, 4 months is a long way yet. Oh yeah, we go out and explore our neighborhood a lot. On this particular day, hubby and I went to Rusty's Seafood and Oyster Bar at Cape Canaveral for lunch. At that time, we saw one cruise ship passed by, sailing away for Caribbean. It was an awesome experience waving at them. Diners stopped eating and taking pictures of the cruise ship. How near? You will see it in my other blog. I will share some photos for sure. Then, we saw fishing boats arriving to the fishing dock near the restaurant. The picture below is the headquarter for that business. If you are looking for a deep sea fishing adventure, this is the site that you can check out: orlandoprincess.com . Their office is newly constructed and it's nice. This big shark is a great attraction. I need to stop by and take a photo souvenir (wink). Anyway, hubby and I might take this adventure soon. The price is about $60 according to the passenger but, food is included, bait, fishing gear and drinks too. It should be fun, don't you think? Now, some guests caught the shark, the tiny species about 2 feet. They fillet them and bring them home for their meals. Now, I don't think I will eat shark meat though. Would you eat shark meat? Now, this is hubby's biggest caught LOL. Looks like it huh? What you see here are tiny sharks. They are not babies. At first, my heart sank ... but, one passenger said, they are fully grown specie and it is legal here in Florida to fish this type of sharks. They grow about 2 to 4 feet and plenty in Atlantic so; they are not endangered. Do you know what the difference between a compact SUV and a mid-sized SUV is? A compact SUV began as a smaller alternative to the mid-sized based on the smaller pickup frames. Later, car companies began building the smaller SUV on a car platform, known as the unibody frame. This gives the compact SUV better handling and increased fuel economy, while keeping the better towing capacity, off-road capabilities, and style of the SUV. A compact SUV may also be referred to as a crossover SUV. Volkswagen’s version of the compact SUV is the Tiguan. Should you consider a VW Tiguan in Chicago? The Tiguan has the different available trim levels of S, LE, SE, and SEL, though the LE trim level was not released until 2012. For 2013 models, Bluetooth, MP3 compatibility, a trip computer, power heated side mirrors with turn indicators, daytime running lights, a folding rear seat, 16-inch wheels, rear window defrosters, and rear passenger heat and air vents are all standard features. While the different trim levels can add additional options, the basic options for the Tiguan include a sunroof, 16-inch alloy wheels, a rear spoiler, trailer hitch, and sidesteps. Along with seven other Volkswagen models, the 2013 Tiguan was chosen as a 2013 IIHS Top Safety Pick. Some of the safety features available with the newer Tiguan models are a tire pressure sensor monitor, a brake-pad wear indicator, rear child safety locks, lower anchors and tethers of children, six airbags (including front and side curtain), and electronic stability control. The Tiguan first appeared as a 2009 model. Since its release, not much has been changed about the Tiguan besides the front-end styling. In 2010, a Wolfsburg edition of the Tiguan was available with unique features such as 17-inch alloy wheels and leatherette vinyl upholstery. The Tiguan is available in front-wheel drive or optional all-wheel drive. The basic, front-wheel drive model has an optional six-speed manual transmission, but all other models come with a standard six-speed automatic transmission. The gas tank has a capacity of 16.8 gallons, and the fuel economy is 18 for city and 26 for highway. A standard, 2.0-L, four-cylinder engine with 200 horsepower is also standard on the Tiguan. In the end, a VW Tiguan in Chicago of any model year can be a good compact SUV choice with excellent safety ratings. While hubby and I were driving down the Atlantic Avenue, we saw these rentals along the side of Ron Jon Surf Shop. We saw few people riding on those scooters along the beach area and on the main road. The scooters and the like are common rentals along the beaches all throughout Florida. I saw these in Miami up to Pensacola and so far, these are the best rides. If you rent one of these, you will get in and out to some narrow streets so easily. I don't know how much is the rental though. When we went to Bahamas, tourist can rent the scooter for $50 and I think it was a good deal. Would you rent one of these? We have two super awesome Realtors, one in Orlando and one is right here by the Space Coast. We love living here by the coast and so far, hurricanes did not deter us from loving this area. As we keep coming to the beach which is by the way, 15 minutes away from our place, we decided to sell the condo in Orlando. We plan to buy a condo near the water. It could be by the Indian River, Banana River or down the Atlantic area. Look at the view below, isn't it beautiful? A condo by the beach would be so awesome to have. Down by Merritt Island area, people are so busy paragliding, wind surfing, fishing, kayaking, boating and there are numerous of them having fun with their jet ski. Those are awesome water sports to try. Well, just the jet ski though. I am not really a sports fanatic but, I sure love to watch them doing those stunts. Hubby went to see our realtor in Orlando to discuss matters on putting up our condo on the market. Our realtor here will help us find good deals. Good deals mean, really ... really good deal. Let's see if things will pull accordingly. It is in God's plan anyway. Thanks for stopping by. Come by tomorrow okay? Lately, I find it easy to blog using my desktop computer. I am now in dilemma whether to buy a Mc Book Air or a desktop PC. My Toshiba Laptop is great and very handy especially when I blog at the gazebo or back porch but, it seemed its dragging me. I noticed that using the desktop is much more faster to blog. 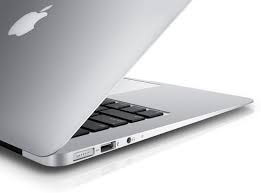 Anyway, I am still contemplating between McBook Air or HP desktop. Today, more products arrived in the mail and one by one, I will be reviewing them starting with shoes, yoga pants, yoga top, scented candles, t-shirt and beauty products. 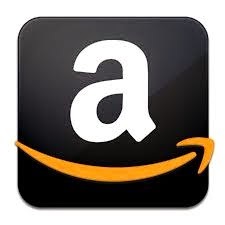 I am aiming to finish reviewing all these awesome products this week. For the meantime, here is a photo that I took down in Mississippi. Enjoy your Monday everyone and check out the nearest beach in your area. Have a great summer by the beach okay? Thanks for stopping by here.